RevitalizeWA Preservation and Main Street Conference, Port Townsend, Washington. Justin Dennis poses with his Entrepreneur of the Year award. Congratulations Justin! Visiting the Ferry House at Ebey’s Landing, Whidbey Island. L to R: Erasmo Gamboa, Claudia Kiyama, Clarence Moriwaki listen to a question during the Telling Difficult Stories session. Farming Ebey's Prarie, Whidbey Island. Heather Dudley-Nollette poses for a photo in the Hastings Building. Ms. Dudley-Nollett is the project manager for the historic building rehabilitation project, and is also the great, great, great, granddaughter of the original builders, Lucinda and Loren Brown Hastings. A participant in the RevitalizeWA Historic Preservation conference tours a second floor office space of the Hastings Building. Designed by Elmer H. Fisher, the building was constructed between 1889-90. 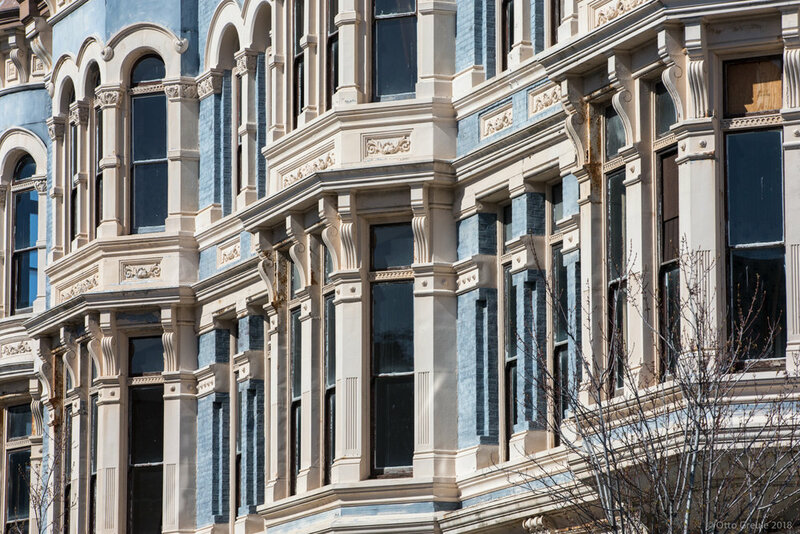 A view of the bay windows and blue-painted brick along the southwest elevation of the Hastings Building. 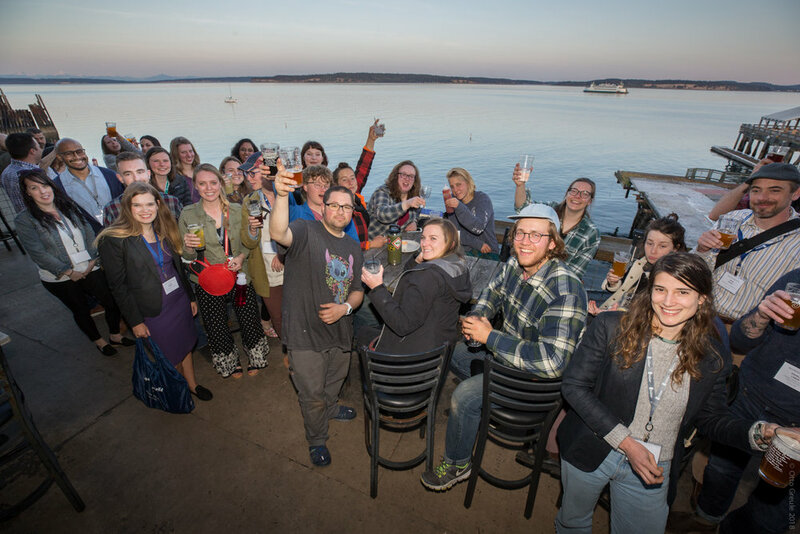 Young Preservationists gather at Sirens Pub in Port Townsend.